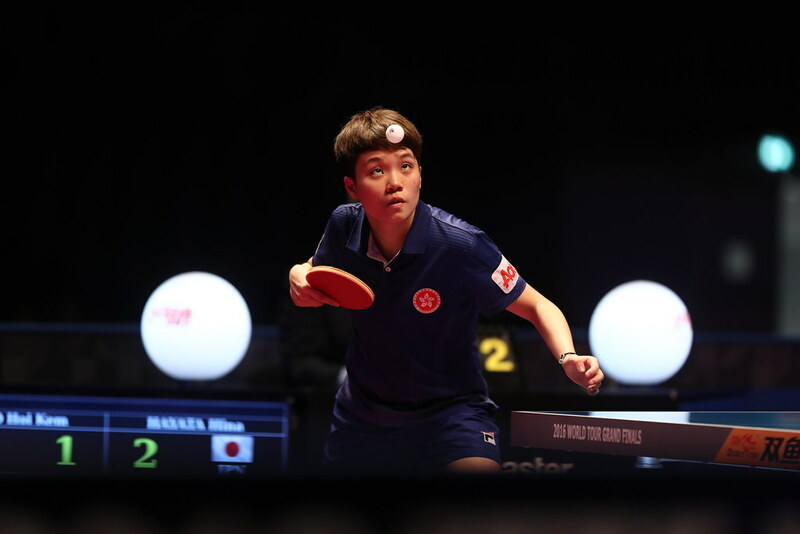 Defending champion, China’s Niu Guankai retained his Cadet Boys’ Singles title at the Korean Air 23rd Asian Junior and Cadet Championships in Asan on Monday 2nd July. Meanwhile, in the counterpart Cadet Girls’ Singles event, it was success for Japan’s Yumeno Soma. Absent from international play since beating Japan’s Tomokazu Harimoto in the final in Bangkok last September, Niu Guankai returned to duty at the recent 2017 China Junior and Cadet Open in Taicang; a tournament in which he won the Cadet Boys’ Singles title, whilst reaching the quarter-final stage of the Junior Boys’ Singles competition. At the final hurdle, as some two weeks ago, he beat compatriot Song Zhuoheng, the no.5 seed. 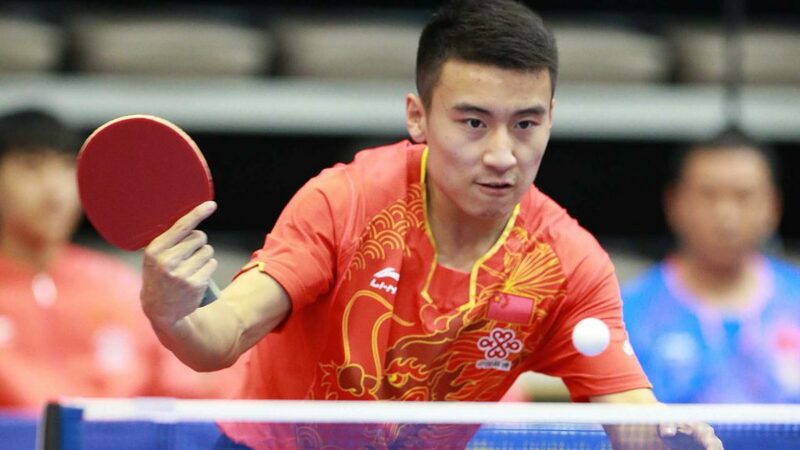 In Taicang he won in three straight games (11-3, 11-5, 11-6); in Asan he did just the same (11-4, 11-4, 11-5). Not seeded, in the latter stages Niu Guankai had accounted for Japan’s Kakeru Sone, the no.2 seed (11-7, 11-4, 12-10) at the quarter-final stage, before in the penultimate round accounting for compatriot, Yu Zhengyang, likewise not seeded (11-3, 13-11, 11-5). In the adjacent half of the draw, Song Zhuoheng had accounted for Japan’s Jo Yokotani, the no.3 seed, in the round of the last eight (9-11, 11-5, 11-4, 11-7), prior to overcoming Chinese Taipei’s Feng Yi-Hsin, the top seed, in the penultimate round, by the very narrowest of margins (8-11, 11-7, 6-11, 11-9, 12-10). Success for China and perhaps that was anticipated in the Cadet Girls’ Singles competition; earlier in the proceedings, China had won the Cadet Girls’ Team event. Conversely, Japan had experienced a semi-final defeat at the hands of Korea; a match in which Yumeno Soma was beaten by Shin Yubin. The past was laid to rest; the no.4 seed, Yumeno Soma withstood the Chinese challenge. At the final hurdle she overcame Huangqi, the no.2 seed (11-9, 12-10, 11-5), having the previous round, beaten Wang Tanyi (11-7, 11-5, 11-3), the player who one day earlier had accounted for Shin Yubin, the top seed (11-1, 11-5, 13-11). Impressive performances but Yumeno Soma almost departed proceedings at the quarter-final stage; she was stretched to the very limit by Korea’s Ryu Hanna, the no.8 seed, in one of the most dramatic contests of the whole tournament (7-11, 11-3, 9-11, 11-8, 17-15). In the opposite half of the draw, in the latter stages, Huang Yingqi had beaten Japan’s Satsuki Odo, the no.5 seed (10-12, 12-10, 11-7, 11-9) and colleague Kuai Man (11-9, 10-12, 12-10, 11-7) to reach the final. Play in Asan concludes on Tuesday 4th July.